I was in and around Skidmore for three days and two nights, and encountered no trouble. 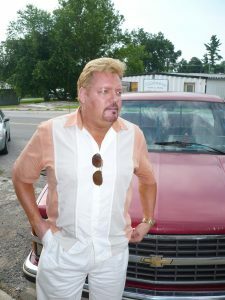 Had I sought out the Clements and their crowd, I would have gone to the Elks Club in Maryville on Saturday night, the scene of my almost-violent encounter with Del and his friends years ago. But there was no reason to go looking for trouble. 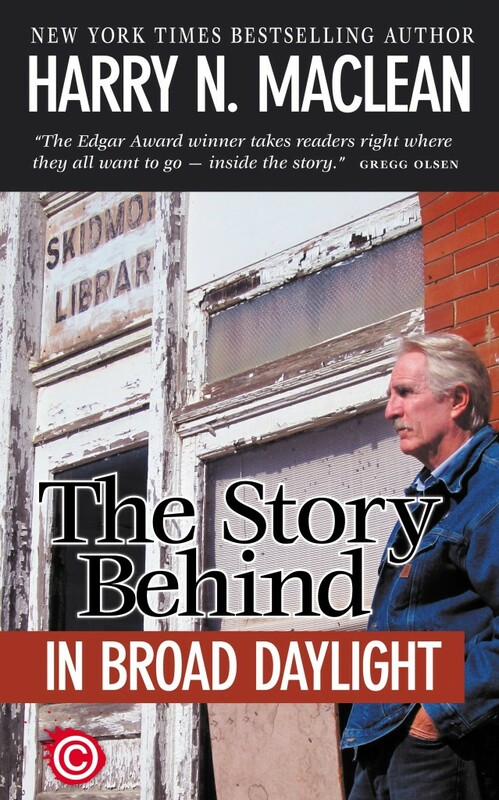 As the author of In Broad Daylight, I draw plenty of attention whenever I’m in Skidmore, or Maryville, or anywhere in Nodaway County. I was in town to spend time with the Goslee family, who had put me up and supported my research for many years, and had received considerable grief for doing it, and to attend a barbecue put on my Dave Dunbar in Lamoni, Iowa. I will soon post photos of my visit. Skidmore looks different. The bank is closed; Mom’s cafe is closed; the grocery store where McElroy shot Bo over one of his kids swiping some candy is closed. And not too long ago, Sumy’s, a gas station and coffee shop since 1943, closed. Several of those who observed the shooting were standing in front of the station, which is just a few yards up the hill from where the riflemen were standing. The D & G Tavern, most recently the Skidmore Tavern, in front of which Ken was sitting in his Silverado when the bullets tore through the window glass and shattered his skull, was also closed. (D & G stood for Del and Greg Clement. Del was serving beer in the tavern just before the shooting). The Tavern, a quonset hut set on a cement floor, stunk irredeemably of grease from all the burgers fried up in there over the years. However, a new cafe opened across the street, in the old post office, in front of which the shooters were standing when they opened fire. It’s called the Outcast Cafe, and is big and clean and cheap. It has a bar, and music on the weekend. Everyone hopes it’ll make it, because it’s the last hope for the small town. It’s owned and run by newcomers. They know the story of Ken McElroy, but they weren’t here when it happened. Skidmore is down from 450 (when I was there) to 325. With the businesses gone, the Punkin’ Festival defunct, it has little vibrancy. A lot of old timers complain that they don’t know many of the other residents, a lot of whom work in surrounding communities. An outsider has taken to buying residences, and storing tremendous amounts of junk in the yards. But Skidmore is still Skidmore. You feel it when you drive into town. When you park in front of the old D & G. McElroy may have been shot there 30 years ago (next July), but in some ways it could have been last July. The mainstreet is eerily quiet in mid-morning. Faces turn away at a stranger’s approach. It could be all in my mind, but I don’t think so. Faulkner wrote that “The past is never dead. It’s not even past.” Nowhere is that more true than the small community of Skidmore, where the past is the terror and murder of a terror-stoking outlaw 30 years ago. I have another story to tell: my drinks with one of McElroy’s sons, who had been adopted and didn’t realize who his father was until he was grown and had graduated from college. Imagine what McElroy would make of that: a college graduate for a son. It’ll be a day or two. After the photos.